The world has roughly 150,000 glaciers covering about 200,000 square miles of the earth’s surface. Over the last 40 years they’ve lost the equivalent of a layer of ice 70 feet thick. Most of them are getting shorter as well. Some have shrunk to nothing; many smaller glaciers in places like the Rockies and the Andes have disappeared entirely. Glaciers represent the snows of centuries, compressed over time to form flowing rivers of ice. They always change over time, accumulating snow in winter and losing ice to melting in summer. But in recent times, the warming climate has allowed the melting to outpace the accumulation. Much of the discussion about the retreating glaciers relates to sea level rise, catastrophic floods, debris flow, and the effects on rivers and ecosystems. But in some places, the biggest impact of the loss of glaciers is on the supply of water for people and agriculture. In Kazakhstan, Almaty, the country’s largest city depends on glacier-fed rivers for drinking water for its 2 million people and for irrigation water for crops. 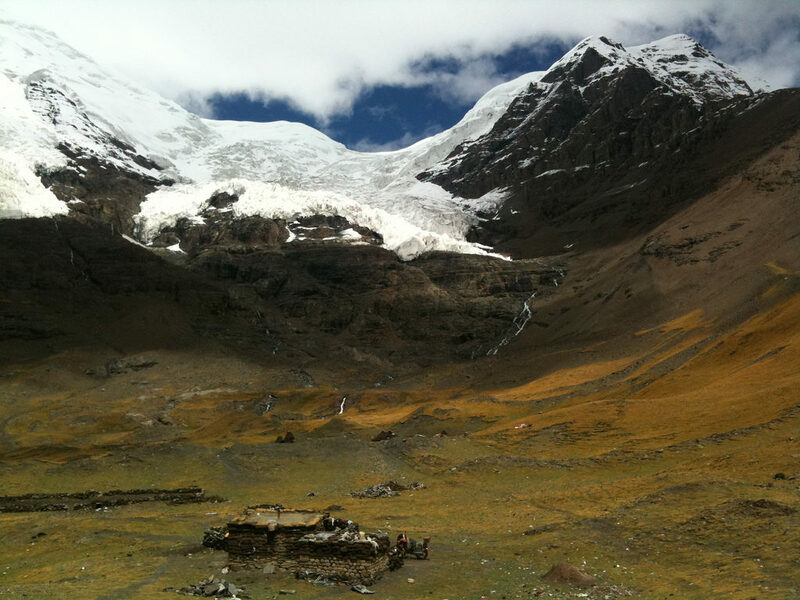 All across the Tibetan Plateau and the Himalayan and Karakmoram mountain ranges, hundreds of millions of people rely on glacier-fed rivers for their water supplies. A melting glacier can at first increase stream flow but eventually reaches a tipping point and meltwater begins to taper. In the short term, the melting glaciers may provide increased amounts of water coming down from the mountains, but eventually the flow in the rivers will begin to decline and populations will face a crisis. It will be essential for people in many places to carefully plan for their future water needs in a changing world. Photo, posted September 16, 2011, courtesy of Flickr.